This is a really tasty dish courtesy of Jamie Oliver. Its actually his dad’s recipe, and I really liked it after giving it a try myself. 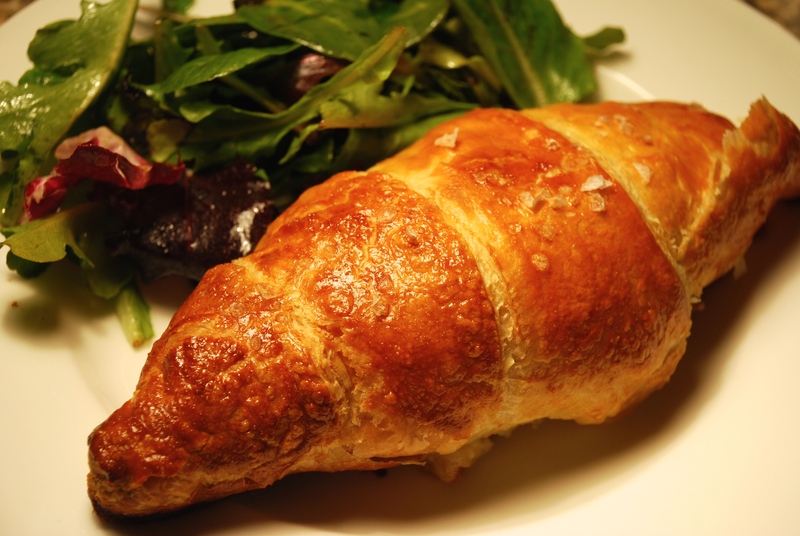 The crispy pastry and the juicy chicken with mushrooms is absolutely gorgeous, the mustard sauce just finishes it off perfectly. I think its a great dish if friends are coming over, pretty impressive with not too much labour involved! 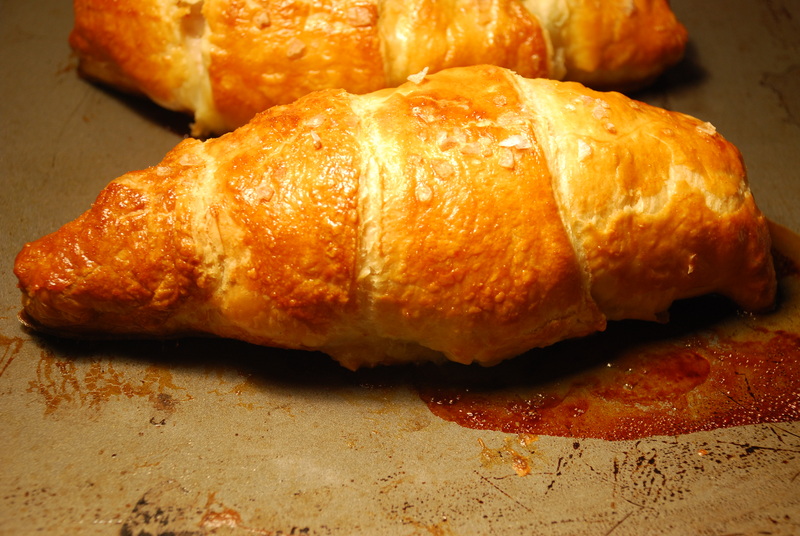 This was the first time I actually used puff pastry and found it pretty easy to handle. One just has to remember to thaw it out for a few minutes before you plan to use it. Or you will be sitting like me with everything else ready but your pastry hard as a rock! Preheat oven to 200C / 400F gas 6. Chop the mushrooms half rough half fine. 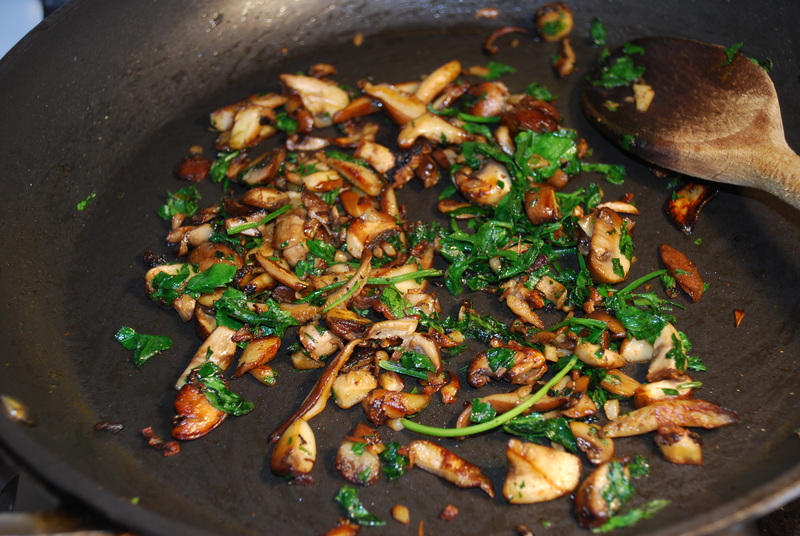 To a hot pan, add a couple of lugs of olive oil and slowly fry the mushrooms and garlic for 10 minutes then add the parsley and season to taste allow to cool. 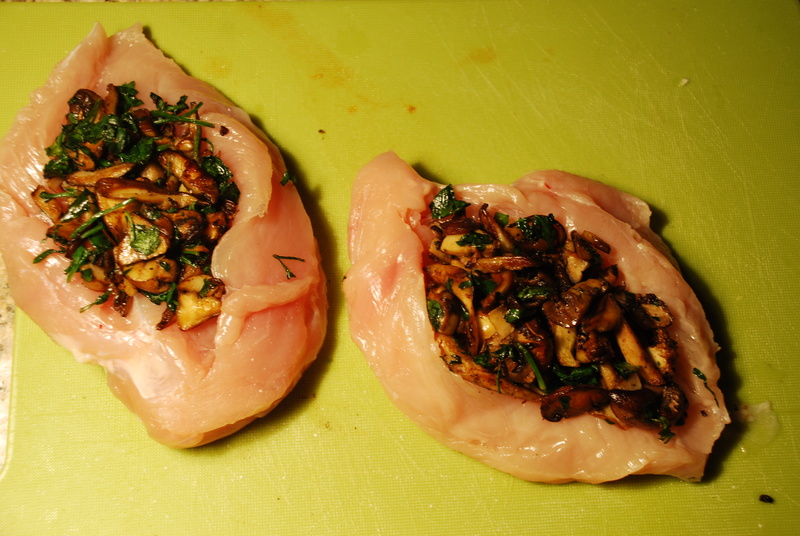 Pull back the chicken fillet on the breasts and keep intact, score into the breast and stuff the chicken with the cooled mushrooms. Using a little dusting of flour and a rolling pin, roll the pastry out to around 45cm in lenght and 20cm wide and 0.5cm thick. slice into 4 pieces lenghtways and wrap around each one. 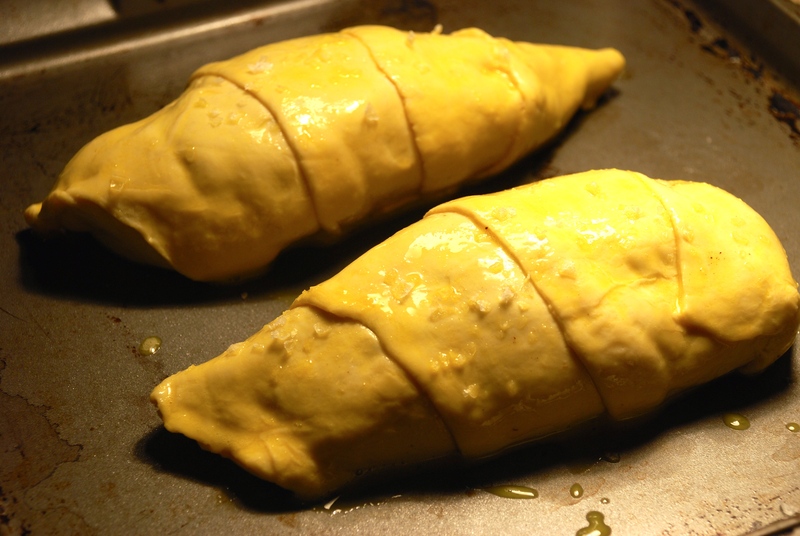 Brush the pastry with a little egg and cook in the preheated oven for about 35 mins. While the chicken is cooking, put the mustard and wine into a hot pan and allow to reduce the alcohol smell. 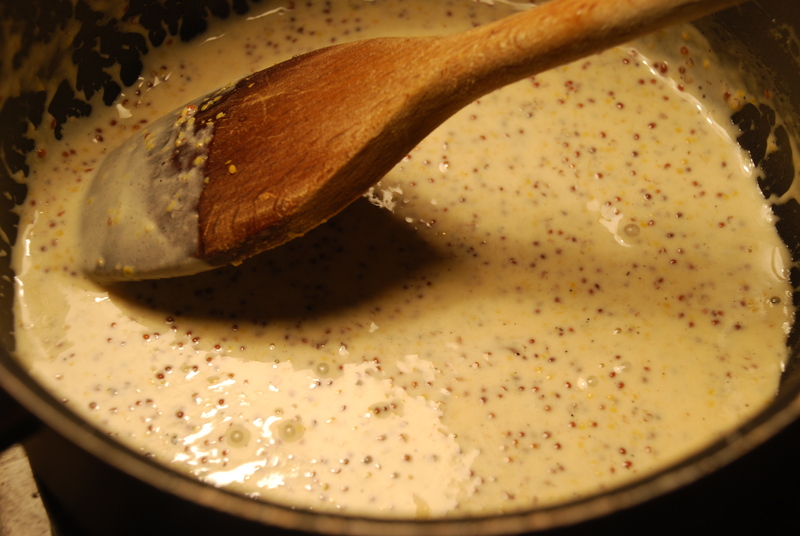 add the cream and simmer untill the sauce coats a back of a spoon, then remove the heat and season to taste. 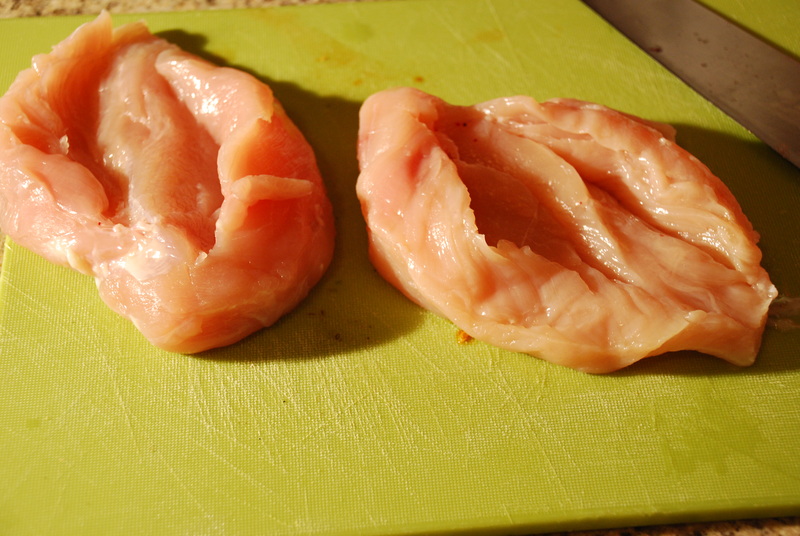 when the chicken breasts have cooked, remove from The oven, slice into to 3 and serve with a bit of sauce and a drizzle of olive oil if you like. GORGEOUS!